Despues de la full moon party ideal para descansar, los dueños muy amables. Impecable todo. Los dueños muy amables y muy atentos. No es digamos en el centro, pero si rentas un scooter no vas a tener ningún problema. 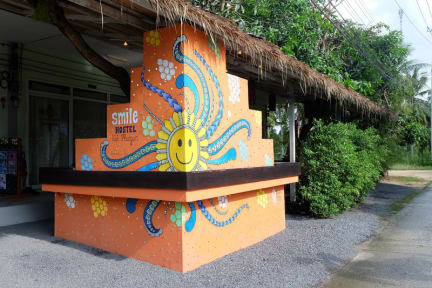 Nice hostel and great staff, they are really welcoming and help you with each doubt you may have. The 4 bed bedroom was small and I prefer to have lockers in the same room rather than in the lobby. Beds are too noisy and just one bathroom to share between a really big room (around 16 beds) and the 4 bed bedroom. 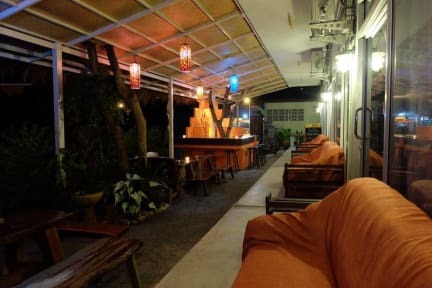 Is a quiet hostel so it is really good if you want to avoid party hostels, which you can find nearby.